Atenció al professorat!!!!! Ja teniu en marxa la convocatòria ERASMUS + 2016/2017 Becoming International. Aquí teniu la convocatòria i aquí teniu la sol·licitud que heu d'omplir si vos interessa. Notice for teachers!!! ERASMUS + 2016/2017 Becoming International call is already going on. Take a look at the call and here you can access to the application form which you must to fill in if you are interested in participating. La setmana pasada es va informar a l'alumnat de cicles formatius sobre el programa Erasmus+ 2015/2016. També tenguerem la sort de tenir una xerrada per part d'algunes de les alumnes que gaudiren d'una beca el curs anterior. Teniu aquestes fotos com a mostra. 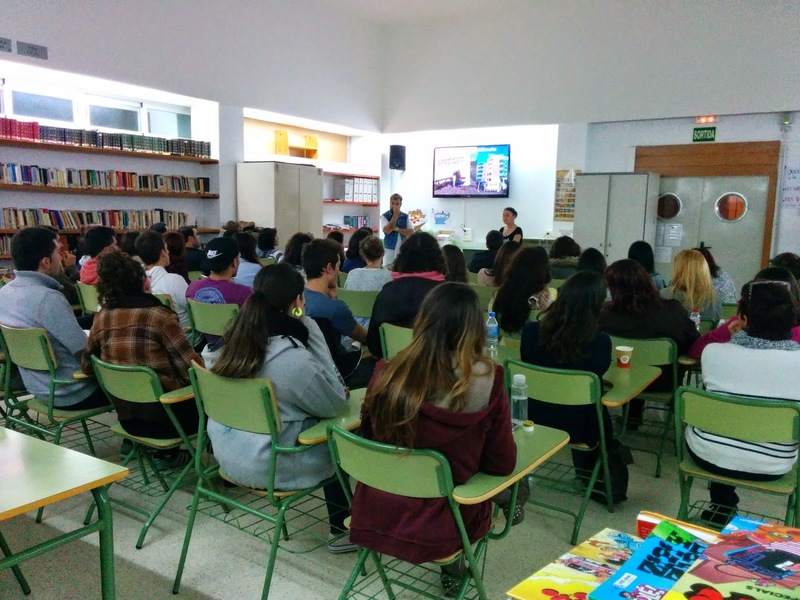 Vocational Training Programme students were informed last week about Erasmus+ 2015/2016. 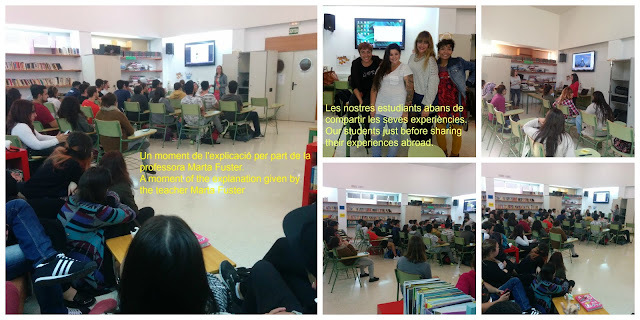 We were also very lucky because we had the opportunity to listen to some of the students who were awarded a grant during the last academic year. Take a look at the pictures!!! 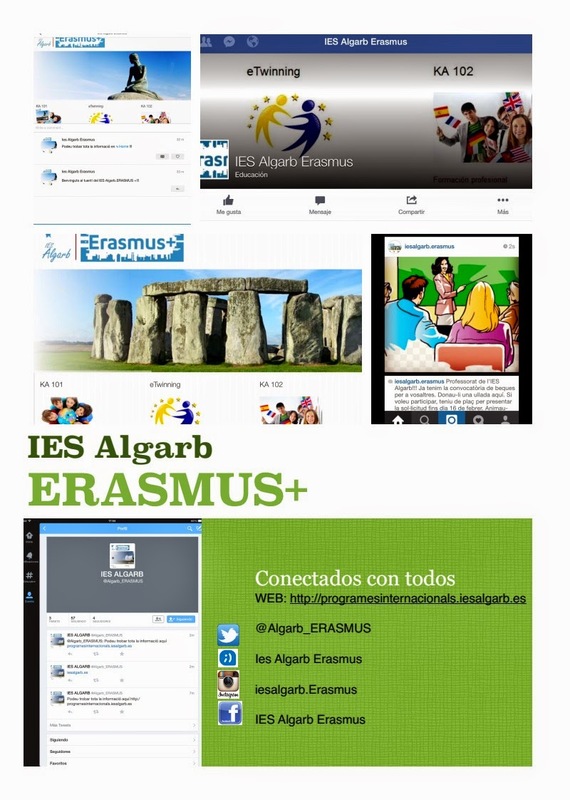 On the links above you can have a look at the Erasmus+ "Becoming International" 2015/2016 Call. You can also download the application form and the Curriculum vitae. Due to the idiosyncrasies of the territory, an island that has received and receives immigrants from numerous countries around the world, IES Algarb saw long ago the need to promote education that encourages learning in practice of languages and decided to stand up for international students trading, VETPRO visits and the participation of students and teachers in vocational Leonardo and Erasmus programs. On the other hand, in Ibiza there are many companies which sometimes hire staff from other countries because of the importance of mastering languages and demonstrate a minimal understanding of the different cultures of potential customers’ countries. In a multicultural society like ours, we want our students to acquire some language skills in order to enable them to enter the labor market in the best conditions. students will improve. Also it is noteworthy its high level of technology that makes our students acquire new professional skills, not to mention the chances of employability by this country. The impact and spread of these mobilities by the center has made increase significantly the demand for applications, creating the need to seek new partners for students and teachers from other occupational branches. With the help of other vocational training centers we have been able to contact two new intermediary partners (Tourism Training System and Vision Ltd) based in different countries. Currently these partners are helping us to find companies for both mobilities of students and our teachers. Through these partners we can select the country and company that best fits the needs and professional profile of participants. 1. Contribute to the creation of a community of young professionals who are well-qualified, open-minded and have international experience, improving professional and language skills. 2 . Improve professional, linguistic skills and the professional profile of teachers and acquire new innovative teaching methods for our students. Exchange experiences with professionals from other countries. Better mutual understanding of the different vocational training programs. • Knowledge of methods and techniques which are different from our own work context. • Acquisition of new methodologies, possibility to share new working methods and put them in practice. • Improvement of language skills. 3. Contribute to an international and multicultural dimension of our organization which is currently very important. In our organization we think the way to achieve our goals according to the needs expressed is encouraging the mobility of students to a European country in which they make a month or more of practices included in the training module workplaces. During this mobility we will encourage to develop personal and employability skills. And besides, our teachers, as an essential part in this process, can make mobility for training in order to innovate and improve the quality of teaching. The improvement in linguistic and cultural skills that derives from mobility itself, both for students and for teachers, is called to be a very important competitiveness value in the labor market. A les darreres setmanes hem pogut reunir-mos amb representants de l'Ajuntament de Sant Josep de sa Talaia, la directora del CEP (centre d'ensenyament de professors d'Eivissa) i la delegada d'educació del Govern Balear. Aquí teniu les fotos que ho demostren. Podeu llegir la notícia de la reunió amb la Delegada al Diario de Ibiza i al Periódico de Ibiza y Formentera. La foto d'aquesta reunió és del Diario de Ibiza. 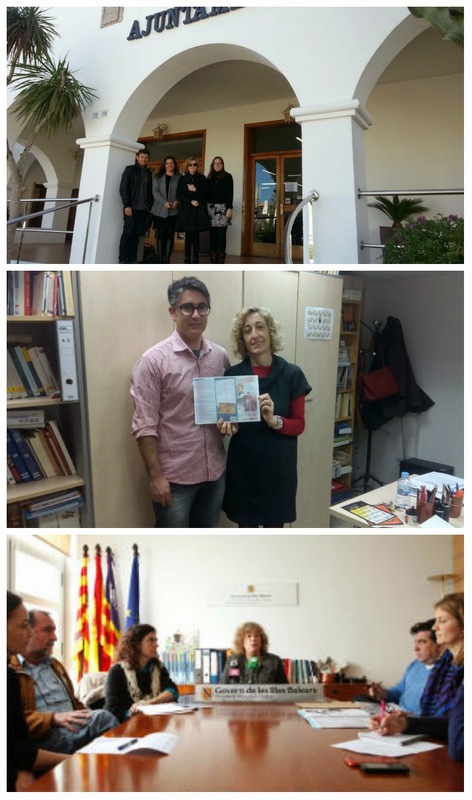 During the last weeks we have been able to meet with Sant Josep de sa Talaia City Hall representatives, CEP director and the Balearic Goverment educaction officer. Here you have the photos to prove it. You can read the news about the meeting with the Balearic Goverment education officer in Diario de Ibiza and Periódico de Ibiza y Formentera. The photo of this meeting has been taken from Diario de Ibiza. Ara ens podeu contactar i estar informats des de les diferents xarxes socials. Cercau-nos!!! Now you can contact us and keep yourself informed through social networks. Look for us!!! A l' IES Algarb se li ha concedit la carta ECHE!!! Estam molt contents i il·lusionats per poder continuar amb la nostra feina. Esperam que ens acompanyeu en aquesta nova etapa. Podeu clicar aquí per veure la carta ECHE. IES Algarb has been conceded the ECHE letter!!! We are very happy and excited for being able to continue working . We hope you'll be by our side during this new stage. You can click here to see the ECHE letter. Podeu fer-li una ullada a aquest llistat on figuren els alumnes pre-seleccionats per a gaudir d'una beca Erasmus+ durant aquest any acadèmic. Take a look at the list where preselected students to enjoy an Erasmus + grant during this academic year are shown. Durant aquest any academic s'han fet diverses xerrades per tal de difondre al màxim entre l'alumnat i el professorat del centre totes les possibilitats de participar a algun programa ERASMUS+. Some different talks have been given during this academic year in order to inform students and teachers about the diverse possibilities to enroll ERASMUS+. 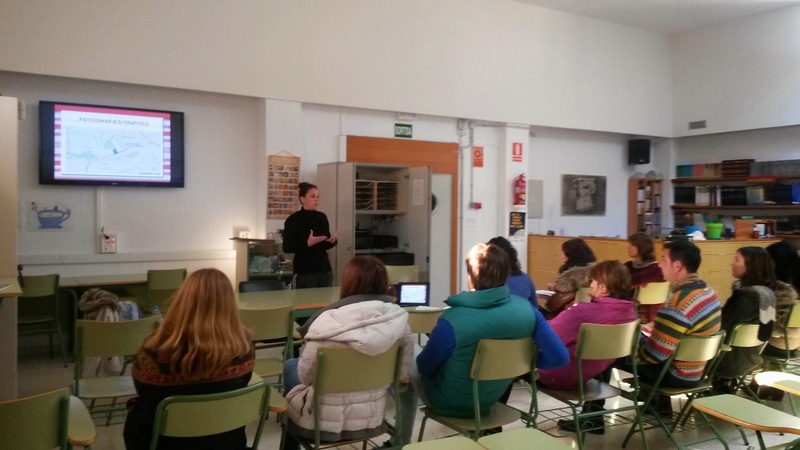 Xerrada feta per alumnes explicant la seva experiència amb una beca Erasmus. 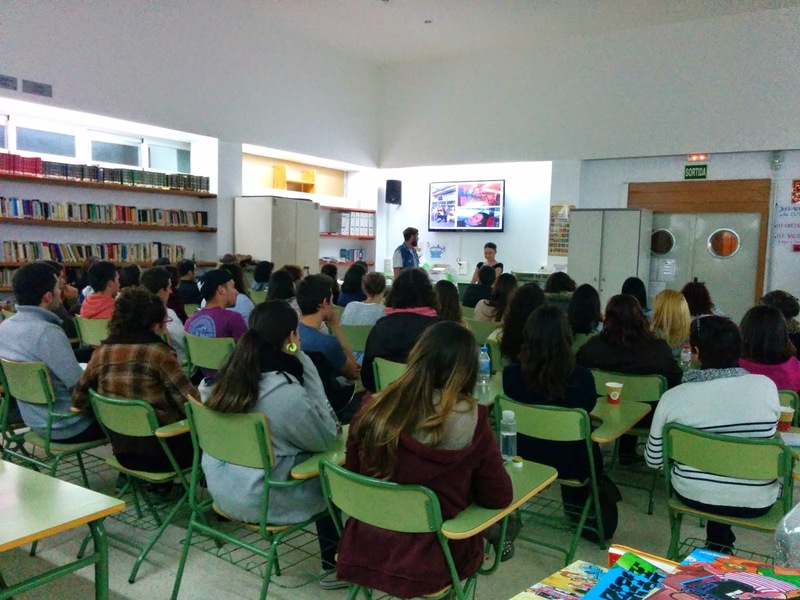 Talk given by students explaining all about their experience during an Erasmus grant. Xerrada feta pel professorat explicant la seva experiència amb una beca Erasmus. Talk given by teachers explaining all about their experience during an Erasmus grant. Professorat de l'IES Algarb!!! Ja tenim la convocatòria de beques per a vosaltres. Donau-li una ullada aquí. Si voleu participar, teniu de plaç per presentar la sol·licitud fins dia 16 de febrer. Animau-vos!! IES Algarb teachers!!! We already have a call for proposals for you. Take a look here. If you want to take part, the application form should be submitted by 16th. february. Tema Senzill. Imatges del tema creades per kickers. Amb la tecnologia de Blogger.